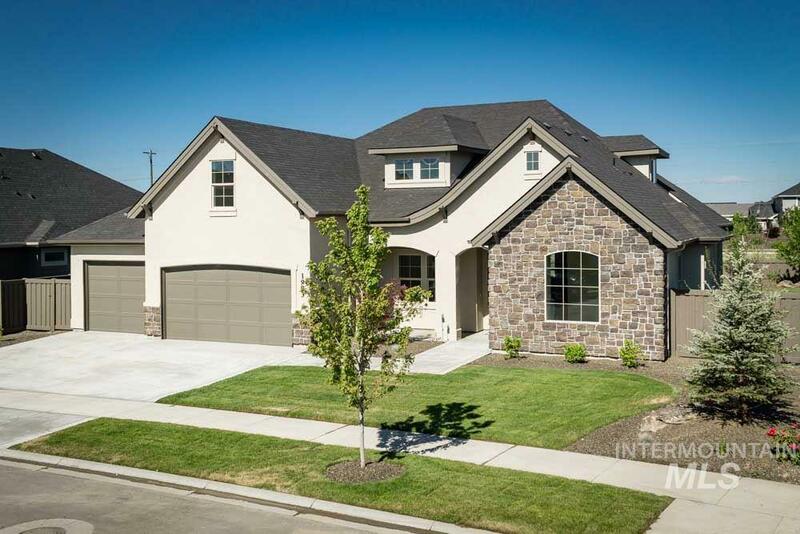 All Homestead homes currently listed for sale in Nampa as of 04/21/2019 are shown below. You can change the search criteria at any time by pressing the 'Change Search' button below. "PHOTOS SIMILAR. The Claire Eliza by James Clyde Homes - Spacious open floor plan featuring hardwood floors and vaulted great room with exposed rustic beams adds an Urban touch to the home s Eastern Coastal style. Thermador appliances combined with beautiful trim work and custom cabinetry creates a beautiful gathering space for entertaining. Expansive garage with epoxy flooring and private mechanical room. Full landscaping all on an Northeast facing back yard! 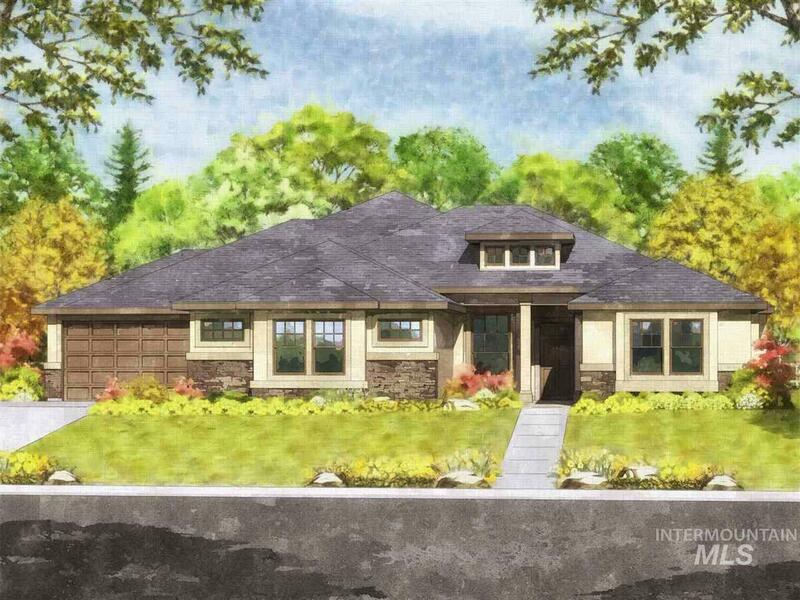 Est Completion date"
"Welcome to the Catalina Plus Cape Cod elevation by Hallmark Homes! Located in the wonderful Homestead neighborhood. 4 large bedrooms, 4 full bathrooms and a tech/office area. The great room opens to a gorgeous gourmet kitchen with an extra large pantry and huge granite island. The great room also boasts custom cabinets and stunning fireplace. It features 2 patios and lots of windows. The master suite is spacious and very luxurious!" "PHOTOS SIMILAR The Heather Lynn by James Clyde Homes. All the bells and whistles you've come to expect from James Clyde: Extensive hardwood, amazing stainless steel Thermador appliances, custom built cabinetry, breathtaking trim work & detail that only a true craftsman can deliver! 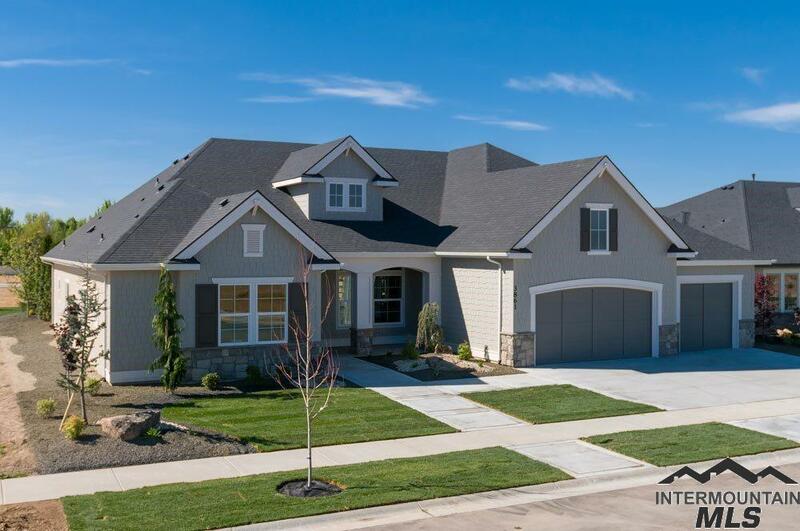 Check out the oversized (approx 1,097 sq ft) 3+ garage that features a 36' long 3rd bay and epoxy flooring! Hidden room upstairs could be 4th bedroom. Full landscaping front & back and full fencing with no rear neighb"
"Welcome home to the Cambridge Bonus! Captivating design showcasing an exceptional blend of craftsmanship and attention to detail. Interior spaces emphasize an abundance of natural light, a tasteful combination of warmth and sophisticated lighting and an upscale kitchen adorned with plush Bosch appliances. Functional upstairs bonus room and main level office. Full fencing and landscaping included! Photos are similar." "The Monterey Modern Farmhouse with main floor master bedroom! The upstairs features 3 large bedrooms, 2 full baths (one private in bedroom) and a huge bonus room. Main floor features wonderful master suite, large open great room with beautiful fireplace and built-ins, large office/den, and stunning kitchen. Great covered patio and full landscaping." "BACK ON MARKET. BUYER UNABLE TO CLOSE! The popular Hallmark Plan with new Modern Elevation, features beautiful courtyard, spacious rooms including huge 4th bedroom/bonus room/guest quarters/flex room. Stunning great room area with beautiful fireplace, huge granite island in gorgeous kitchen, large laundry room with window and sink, tech center, great master suite with access to large covered patio. Tons of quality throughout!" 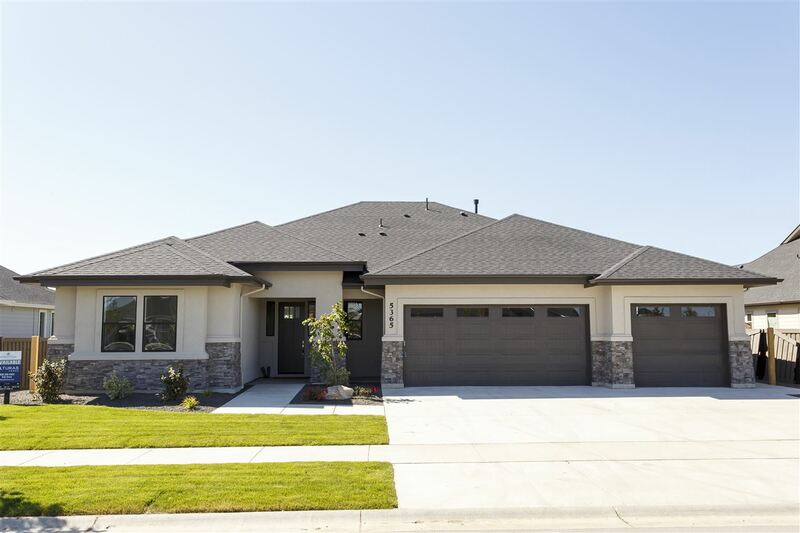 "The Sapphire is a well designed single-level home with 3 bedrooms, 2.5 baths, and a main level bonus room. The detailed great room features coffered ceilings w/ wood beams, built in cabinetry, and sliding glass doors leading to the huge patio. The kitchen features custom cabinets, quartz counter tops, a walk-in pantry, stainless steel Bosch double ovens and a 36-in Thermador cooktop. Plumbed for central vacuum and water softener. Photos are similar." "Great and MEDIA/bonus rooms plus office plus bedrooms ALL 14x14 or bigger on ONE level! Fit ALL furniture or craft, exercise rooms-you get to decide. Quartz, tile, hardwood surfaces found though out along with soaring, 9, 10 & 11 foot ceilings with UNBELIEVABLE interior architecture-coffers, crown, moldings and varied ceiling heights. COMPLETION 7-2-2019! ALL photos and renderings for representation ONLY-not of actual home. Home will never have close back neighbors as backs to common area. 4+ c"
"Two BIG livings-great room and bonus PLUS office PLUS 4 garage PLUS a main level master suite all mean the Sonata with a 10'w x 11'h 3rd bay garage door is awesome! Bonus/Rec room has closet can be 5th bedroom. Kitchen has pantry with counter and more storage than you can imagine. The fully finished/insulated garage has a 33' deep bay. Quartz, white kitchen, hardwood, tile surfaces, stunning interior architecture includes-coffers, moldings and varied ceiling heights. ALL soft close and dovetai"
"New Sedona RV plan with Wrap Around Porch by Hallmark Homes! Features include: Deep attached RV garage, 4 very large bedrooms, 3 full baths, tech room, large and open great room. Large gourmet kitchen with huge granite island. Tons of upgrades including custom woodwork and trim. Huge bonus room plus giant bedroom upstairs. Master suite includes over-sized walk-in closet, walk-in shower, dual vanities, soaking tub, etc..."
"The Carlisle is classically inspired design with fabulous textures and artful details. Masterful touches include stunning hand-crafted mill work, quartz, hardwood and tile plus beautiful interior architecture with a true craftsman eye to everything. The master suite boasts his and hers closets with access to utility for ultimate convenience. Full fencing, landscape with automatic sprinklers. The garage 3rd door 10 x 10' x 35' deep and is over 1000'. ALL photos, plans are for example only-not o"
"The Liberty Farmhouse on ONE level! with separate main level 4th Bedroom or Bonus/Den/Media/Office. Breath taking interior architecture includes coffers and a grand entry for privacy as separate from great room . Master bath has gorgeous tile walk in shower and awesome closet. Quartz, Tile, Hardwood surfaces and stunning crown molding throughout. ALL cabinetry soft close, full extension and dovetail constructed! PHOTOS, PLAN and renderings similar ONLY to home being built. 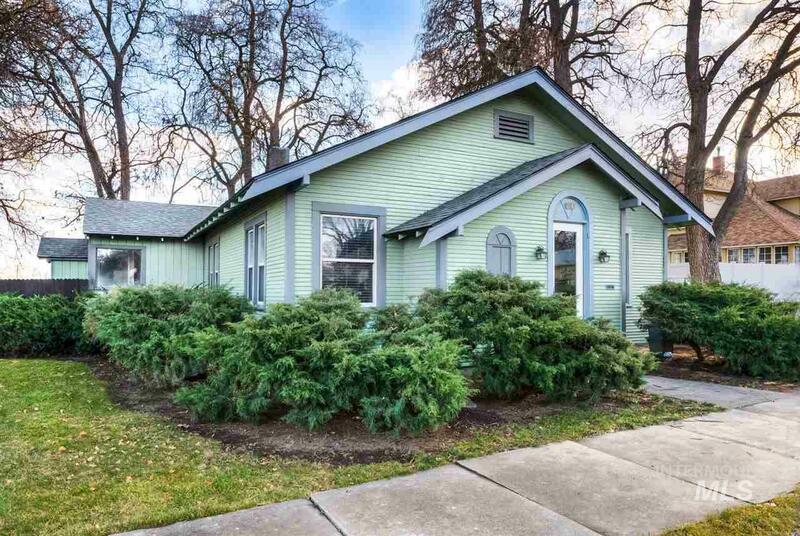 No close back neighbo"
"Well maintained 1920's classic near the Historic Nampa District; updated to keep the original craftsman style & vintage charm. Huge corner lot is fully fenced with mature trees and a backyard oasis years in the making. Double hinged gate to paved RV Parking, garden beds, brand new roof, tons of built-ins, ss appliances, newer carpet. Partially finished basement offers endless possibilities (4th bed, office, workshop, storage, etc). Just blocks from new library,restaurants,and entertainment."